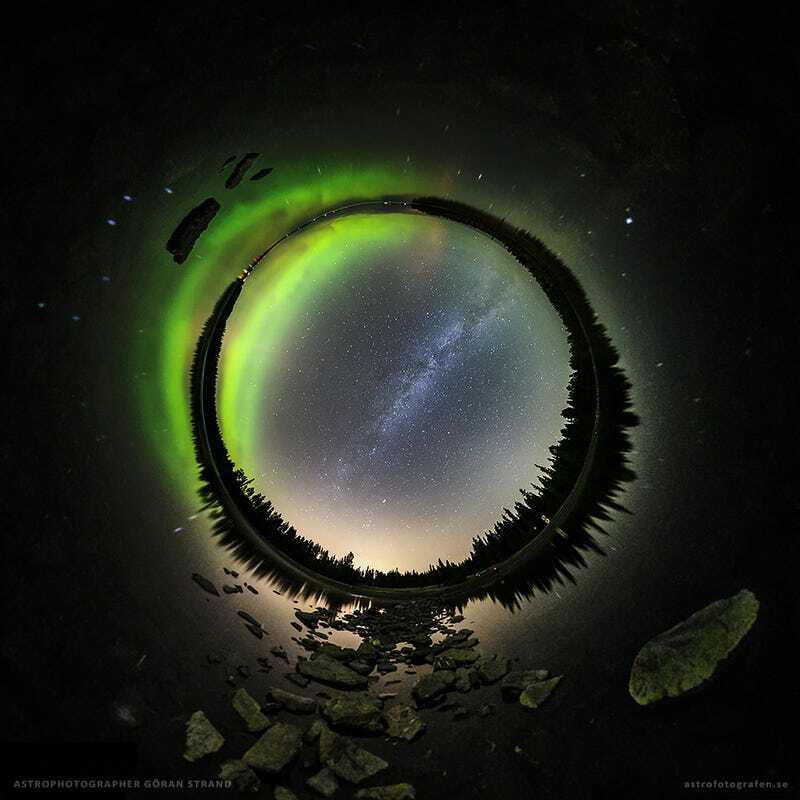 Photographers, you all can give up because astrophotographer Göran Strand just won the best little planet photo ever contest with this amazing photo featured in NASA's Astronomy Picture of the Day: The equinox night on the above Lake Storsjön in Jämtland, Sweden, with auroras and all. Of course, the scene is really the northern hemisphere's autumnal equinox night. Water and sky are inverted by a top to bottom, around the horizon stereographic projection centered on the zenith above Lake Storsjön in Jämtland, Sweden. In the north the Milky Way arcs from east to west overhead as fall begins, but the season is also a good time for viewing aurora. Geomagnetic storms increase in frequency near the equinox and produce remarkable displays of northern lights at high latitudes, like the eerie greenish glow reflected in this watery cosmos. You can see more of Göran's amazing astrophotography work here, or follow him on Twitter and Facebook.